Easy to assemble and does the job. I had to get used to how it swivels. Would recommend to others. Dimensions 12.5 In. X 12.5 In. X 45.0 In. Shipping was faster than expected. The box was a little roughed up, but it did not damage anything in the box. Assembled quickly and now my house is a lot less hairy. I have a black lab and I just couldn’t clean enough to remove the hair from the floors and stairs. This is a great vacuum! I really like the Febreeze filter that came with it. Keeps the room smelling good while getting all the yuck out of the floors. I vacuumed the hardwoods and there was no dirt or hair flying out. The canister easily removes so that you can be more mobile to do the stairs and ceiling. The PetEraser worked wonderfully on my carpeted stairs. When I finished I had a canister full of dirt and hair. I’m very happy with my purchase. Have had the vacuum cleaner for about 2 weeks. It’s suction power is great to get up all the dog hair. I have 3 dogs, Love the long cord,, and the easy way to empty the container. It’s a bit heavier than I thought to carry when you lift it off the base to do stairs and other hard to reach spaces, but it does the job very well when it comes to picking up dog hair. I am very impressed with this vacuum cleaner and hope it last a while. The only reason I gave it 4 stars instead of 5 is because it does not have a light inside the vacuum. Which makes it easier to see dog hair on hard wood floors.Assembly was not difficult . Incredible vacuum cleaner! Powerful suction and the tools are a must when you have pets. I choose this one for the ability to take out the motor to clean stairs or more spaces than didn't allow to use the complete machine. It's a bit heavy, which can be troublesome for some people, but it looks like is very good made. We hope this lasts years as our old Bisell. Recommended! 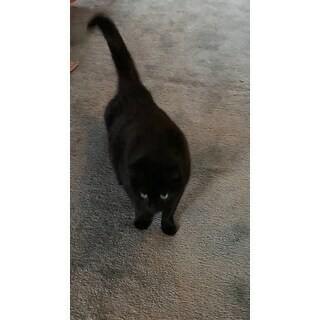 The lift off portion is awesome for getting pet hair off the furniture! Easy to clean and no bags to buy. Very maneuverable and lightweight. Easy to put together and works beautifully on my area rugs to groom them and pick up the people dirt and kitty hair. We have three indoor cats and one indoor dog. We upgraded to hard flooring a couple years ago. I wanted to find a vacuum that would work for hard floors and for upholstery and the little bit of carpet I have. I found a winner with this vacuum. My couch is navy. Of course, my white cat sits on it constantly. One go round with the pet attachments on this vacuum, and you can't even tell we have a white cat! It picks up amazingly well from both upholstery and hard floors. I'm thrilled! This is just what I was looking for! 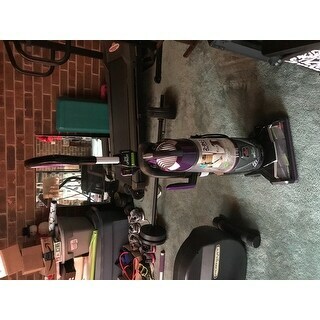 this vaccum looks awesome and me and my wive are excited about getting it. This vacuum is worth the money! Great suction.. heavy duty.. maneuvers great and efficiently. I did a test with my old vacuum which was still good.. i vacuumed with my old one and then right after with this one.. and this one picked up SOO much EXTRA hair and dirt. Completely satisfied. Very impressed with the quality. The instructions on how to put it together were very straight forward. I was amazed at how much it picked up, compared to my old vacuum. Wonderful vacuum!!! I have 4 dogs in our house (1 is our daughter's) and this picks up all the dog hair! This machine has nice pick up. Like it very much. Just got it. Love it. Really gets up the dirt and fur. It is heavier than expected as other reviews have stated. The suction power makes up for it. 13 animals. I really needed a vaccume this good. Very easy to assemble. Put it together under 3 mins. Then I read directions to make sure it was correct. It was. "Is this model bag less?" Yes, this is bag less. Appeared to be the best choice in pet hair control after research. 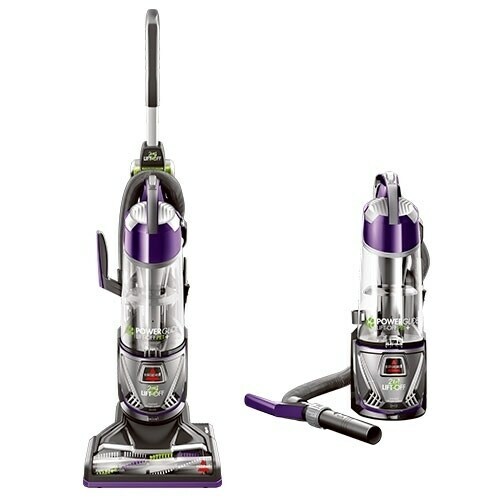 Bissell vacuum are the most reliable and the lift always is just amazing!